You gained or lost customers in the time it took you to read this sentence, despite having no direct contact with them at all. It's not too late, though, to regain the attention of these passers-by and transform them into buyers and convert your first-time buyers into repeat customers. However, it will require significant effort to change their current perception of you, your products and your industry. Everything from the shapes and colors of your logos to what vertical and horizontal position your product occupies in a given space affects consumer perception. The time of day also influences your potential customers whenever they view, listen to, handle or otherwise interact with your company and products. Their perception of every person, place or object that they associate with your industry might vary considerably in the early morning hours, versus a contact at dinnertime or later in the evening. As a result, something as simple as a color choice or a call at the wrong hour may gain one group of customers while losing another target market. Avon's color scheme of pink with black and white accents attracts women in droves, while some men will not enter your sale space at all, even if you only use pink as an accent color. For example, at a trade show, adding a waiting area or entryway decorated in blue with green and black accents can increase your sales by encouraging spouses to feel welcome to stick around instead of urging their mates to hurry up and leave. Treat every contact as a mini job interview – whether in person, by phone, by email or snail mail, through social media contacts or your website. Your potential customer appraised your company the second they viewed your website, the moment they saw your advertisement or the minute they entered the exhibit hall. Use the results from the 2013 Harris Interactive poll contracted by Career Builder to decide which colors will motivate your current and potential customer base to choose your products and services. Do your potential customers participate in team sports? Blue signals that your employees will work with them to design custom solutions rather than forcing them to accept a plan or product that only partially meets their needs. When customers need advice and assessment followed by trustworthy recommendations of products and services, black should hold a prominent position in your logo and company color schemes. Do you want creative types to comprise a larger share of your customer base? Select green or purple, unless your business involves food service. Otherwise, feel free to incorporate reds and yellows in your letterhead and banner ads. Failure to recognize everyone as a potential customer also affects consumer perception. If you do not regard every person at an event as your next potential customer, why should they buy from you? Treat everyone as if they already use your products and services, including the venue employees and fellow vendors, event sponsors or exhibitors, as well as all the speakers. The premise that all sensory input must be categorized immediately lies at the heart of perception theory. Perception – the moment when awareness of something in our immediate environment happens – allows us to respond instinctively and decisively against possible threats or go about our business when we realize that the rustle in the bushes was a house cat, not a tiger. This readiness to respond displays itself when people "jump at shadows," or feel a sense of unease in certain situations. Haunted houses at amusement parks often play on perception theory by forcing patrons into small, dark areas past things that feel like rodent tails, sound like monsters and bewilder your senses. People who go to these events love the adrenaline rush and the feeling of having conquered their fears. But the same things that you find exhilarating in a haunted hayride keep your customers away from the stores in an unkempt neighborhood no matter how many bargains you advertise every week. Whenever customers see trash blowing through the parking lot, security lights failing to remain lit and plywood covering your display windows, they may not even exit their vehicle to take a look inside. If the store has dirty counters and floors, blocked sight-lines and dusty shelves or you can smell the fish counter from the front of the store, your would-be customer might shop with you once and never return if other, better choices exist nearby. As a business owner, you want your customers to take their time in your store, ambling up one aisle and down the other in search of whatever item brought them to your doors. You want to encourage customers to speak with your employees about the services you offer, and what products or services will best meet their needs. You also want to motivate your current and potential customers to purchase impulse items, which are goods and services they might not necessarily need, but that will enhance their enjoyment of the day. Buying impulse items may help them celebrate and commemorate special events or indulge themselves as a break from their daily routine. Besides the enjoyment of viewing classic cars, tailgating and attending the sock hop and swap meet, Mississippi's "Cruisin' the Coast" strengthens community ties and elevates consumer perception of Mississippi as a desirable, fun destination for everyone. "Cruisin' the Coast" attracts classic car aficionados from all over the country every October. Mississippi itself, as well as the communities between Ocean Springs and Biloxi, Gulfport and Diamond Head, market themselves not only as destinations but also as products in and of themselves. Area businesses all make tremendous efforts to welcome the cruisers and draw locals to all the events, as well. Every car detailing special and hotel accommodation package attempts to link product perception to the Cruisin' the Coast theme. They also offer commemorative T-shirts, car cups and aftermarket equipment, along with restaurant specials and discounts on tailgating necessities, including everything from steaks and chops to barbecue grills and pop-up canopies. Some attendees participate fully, driving their Buick Roadmasters, Corvette Stingrays, 60s-era Chevy Camaros, '59 Cadillacs, late 30s Type 57 Bugattis and Mercedes-Benz Type 540s and dressing up in everything from sock-hop chic to 30s-era elegance. Others prefer to wander through mall parking lots and past oceanfront boardwalks to enjoy looking at the cars, chatting with friends and taking selfies with cars and their drivers. Many "Cruisers" pride themselves on being accessible to all, taking time to make a turn onto the grounds of the Armed Forces Retirement Home so that even the mobility-challenged residents get the opportunity to enjoy the event. A community-wide sock hop midweek and a swap meet Thursday through Saturday at the Mississippi Coast Coliseum allow locals and cruisers plenty of time to mingle, show off their cars and outfits, and create memories that leave them with positive customer perceptions about the area and its denizens. What Is the Role of Perception? Whenever a human being or other creature ignores their current surroundings, they may fall prey to hazards in their environment or fail to notice opportunities that might enhance their quality of life. For this reason, we have more than one type of perception: two important forms include reflex and reflection. A reflex causes an immediate reaction, while reflection helps us create strategies for future encounters. Flinching from heat or jumping away from a snake will prevent burns or venomous bites. On the other hand, reflection takes place after the action, when the individual looks closer at the snake. The realization that garter snakes have no venom provides you with the confidence to leave that snake where you found it, allowing the reptile to continue to control the vermin that do cause harm. Likewise, when customers see overgrown landscaping or run-down buildings in need of a pressure washer and a new coat of paint, or your outdoor vending machines have been smashed, a few may brave the foreboding welcome, but many more will decide that your business would give them more trouble than it's worth. Reflection requires an objective assessment and enough imagination to decide what message you wish to send to your customers and what image you want to project to the neighborhood and community as a whole. Your business should communicate to your current customers that you respect and value them and that you pay attention to details. Without those messages, your default setting is, "I don't care." 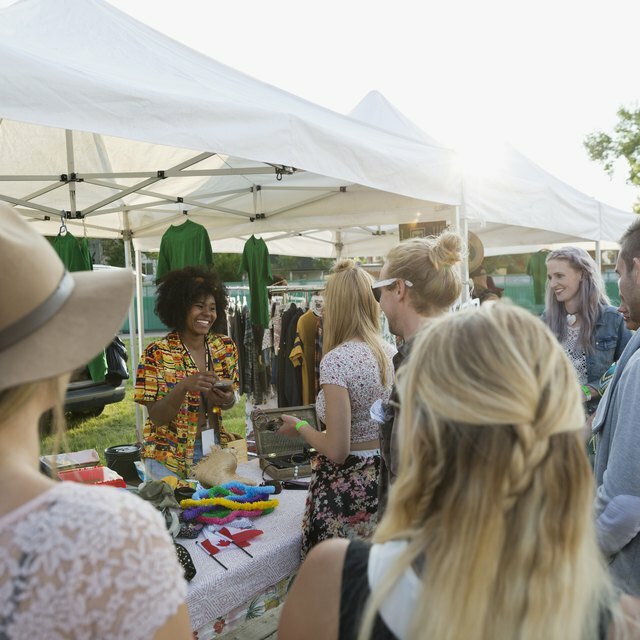 While community-wide events help draw customers past your doors, it's up to you to bring them inside. In other words, impress your potential customers enough to convince them to purchase and use your goods and services. Some businesses ensure that people from every walk of life feel welcome by posting signs or stickers on their doors listing specific groups and promising them that they will receive service. Other shop owners play a wide variety of music and carry goods that appeal to everyone, including items labeled in more than one language. Others choose the decor and music that only welcome those customers who will pay according to the category and the quality of their offerings. When you wish to attract the customers who can afford high-end goods and services, your business must pay attention to detail: lighting, cleanliness, quality, freshness and packaging must show that your products provide the value that justifies your prices. Serving multiethnic neighborhoods requires taking time to locate the products each group buys most often, labeled in the language they understand. When your customers see that popular products from India, Greece, Poland, Germany, China, Mexico and Japan occupy an entire aisle or section of your grocery store, it warms their hearts and cements their loyalty. If you find yourself fighting against negative consumer reviews, show how you went out of your way to resolve the issues the review raised. If the political climate has resulted in a noticeable reduction in tourism, for example, make your stand on that issue known and make visible efforts to tone down the rhetoric and elect officials who will treat everyone in the community with fairness and respect. If the actions of a fellow business owner reflect poorly on your city or state to the point that it affects your business, do whatever it takes to distance yourself from their behavior and exceed the expectations of any affected customers. Hire employees that share the same backgrounds and values as your customers, including the ones who have not yet bought your goods or used your services. Position those employees on your front lines and promote them all the way to the top of your organization's chain of command. Demonstrate by your actions, not just your words, that you respect every customer and take immediate action when they express any concerns. Be a good neighbor: keep your location well-lit, as quiet as possible and free from trash and debris. If your area lacks resources, help provide them. Accomplish this by lobbying to upgrade infrastructure and transportation networks and encourage local and state officials to pass regulations that improve the availability and affordability of education and employment in your area. Give generously to local causes: support local hospitals, youth centers and sports teams. Sponsor community events and summer camps. Hold fundraisers for fire departments and PTAs, along with benevolent societies and local charities. Donate both your time and your dollars. When you take action to improve the self-perception of local residents and the consumer perception of your business and location to locals and tourists alike, your company's bottom line can't help but reflect your efforts. Your fellow community members should feel like a part of your family, not like cattle to be herded to your doors. Your proactive problem-solving will create a self-perception that welcomes your friends and family, employees and visitors and assures them that they can expect to receive respect and service of the highest standard. In conclusion, rather than reacting after discovering you have alienated a potential customer, create a product perception from the first day you open your doors that will forge strong bonds and induce positive regard for you, your products and your industry.